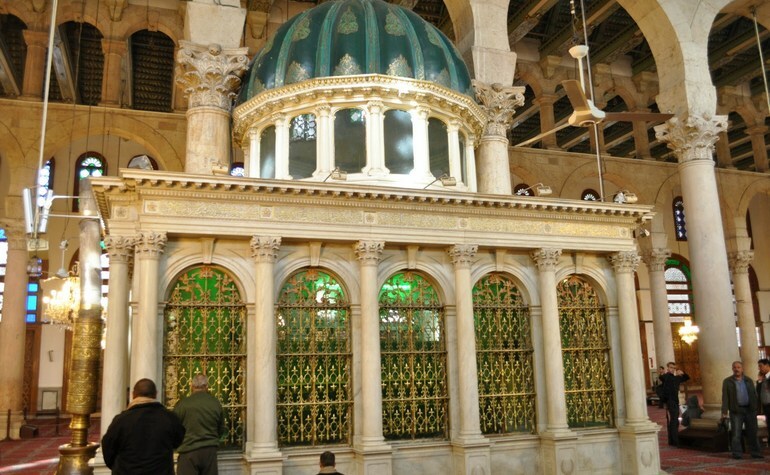 Here is the tomb of Maryam (upon her be peace) [Mary], the mother of Isa (upon him be peace) [Jesus]. It is located in a church at the foot of the Mount of Olives, close to the old city of Jerusalem. In Islam, Maryam (upon her be peace) is venerated as a righteous woman and is the only woman mentioned by name in the Quran. The 19th surah of the Quran is named after her and she is mentioned more times in the Quran than in the entire New Testament. The Quran further mentions the qualities of Maryam (upon him be peace), declaring her (uniquely along with Isa a.s.) to be a Sign of God to mankind [23:50]; as one who “guarded her chastity” [66:20]; “an obedient one” [66:12]; “a Chosen One” [3:42]; “a Purified One” [3:42]; “a Truthful one” [5:75]; her child conceived through “a Word from God” [3:45]; and “exalted above all women of The Worlds/Universes” [3:42]. She remained unmarried and passed away long after Isa (upon him be peace) was raised to the heavens. Some Mufassireen have said that as unmarried women will be married in Jannah (Paradise) to the person of their choice, Maryam (upon her be peace) will marry our beloved Prophet Muhammed (ﷺ) in Jannah. The first tomb was cut in the hillside here in the 1st century CE. By the 5th century, an upper chapel had also been built. This was destroyed by the Persians in 614, rebuilt by the Crusaders but again destroyed by Salahuddin Ayyubi in 1187. He left the crypt, however, largely intact. In the south western wall beside the tomb is a mihrab (indicating the direction of Makkah) that was installed after the conquest of Jerusalem by Salahuddin Ayyubi.